I recently started using GIMP in linux more often and more thoroughly. In the past months I used to use GIMP in windows. My question is why the buttons in the toolbox are so different between those two versions? And by different I don't mean the appearance of button but rather the icon representing the various actions. For example I was looking for the crop button in my toolbox and I couldn't find it. (it's the last tool in the second row if your are not familiar with that). So, is there any explanation for that choice? And I would like to know if I could choose somehow which toolbox to use. I personally felt that the windows toolbox (if it's not window specific the one shown in the GIMP documentation anyway) is more straight forward to infer (and to use of course). 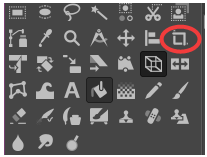 To switch between different icon designs there is a setting in the Gimp 2.10. preferences. As always with design decisions it is hard to say why the icons are so different in appearance, my guess is they were to be similar to the Photoshop counterparts. Browse to Edit > Preferences. 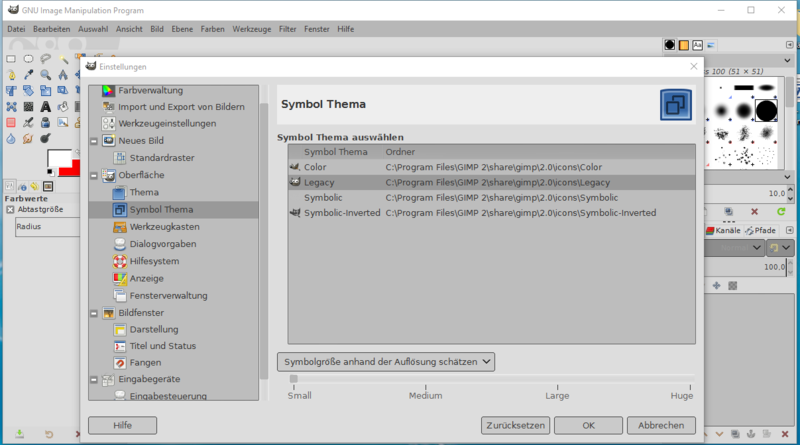 There look for the Interface > Icon Theme and choose Legacy for the old colored icon set (sorry for the German locale, that is what they have my Windows restricted to here). The version you have is 2.10. The lower screen capture is from an earlier version - 2.8 or earlier. There is a new set of tool icons for GIMP 2.10. It has nothing to do with Linux versus Windows, just older versus newer versions of GIMP. The old icon set is still there if you want to switch back, as described in the answer provided by @takkat. How do you change the default font of GIMP in Windows?